Wang Lei, A Pioneer of Chinese Music. Wang Lei at School Bar. The picture hangs on the wall of School bar’s second floor. 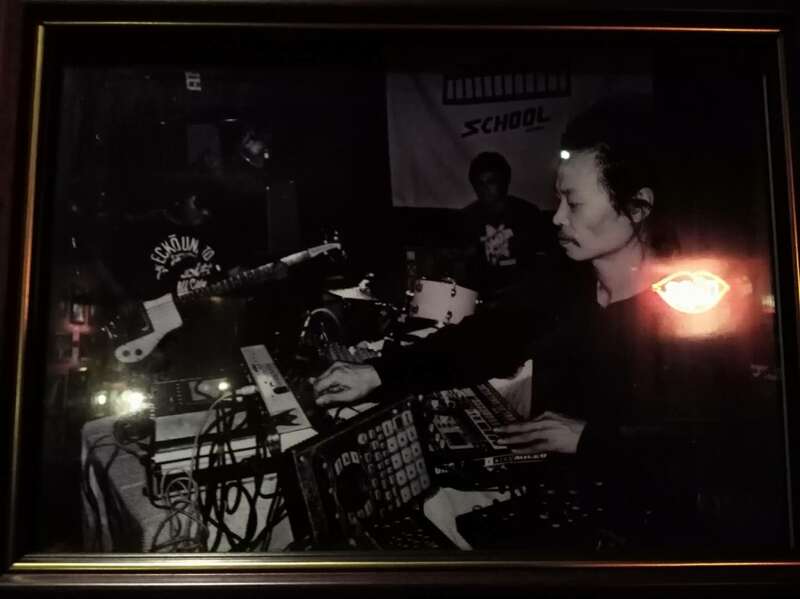 While I was in Yunnan in February, I passed by Dali and met Wang Lei, a musician often mentioned as the “Cui Jian” of the south, but who was more importantly one of the pioneers of electronic music in China. We jammed together two nights in a row at one of the local bars and that’s when I decided I would actually write something about the guy. I first encountered the music of Wang Lei in 2006 while I was back for the summer in Bordeaux and came across his electronic album “Xin”, this was the first time a Chinese electronic music album made it to stores in France, I was surprised to find that out, and I liked that album so much that I later sampled it as a DJ. 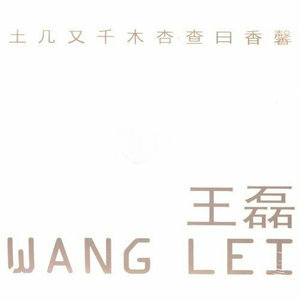 After meeting Wang Lei and jamming with him, happy about that encounter, I decided to listen to every one of his 9 albums since the 90’s and write something about it, so here we go ! 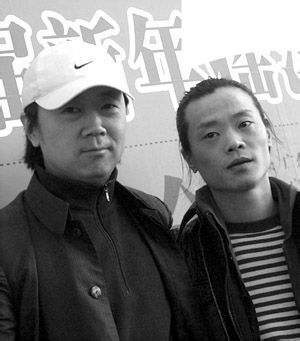 Cui Jian 崔健 (left), Wang Lei 王磊 (right). Before we start know you I did this review listening to the albums on Chinese website QQ Music, except for “Wangtone” which is not available in China but available on Spotify and Youtube. QQ music is only usable in China, if you are not in China it might work if you have a VPN that helps you use Chinese websites. Some of Wang Lei’s album are available on Spotify but most of them aren’t. Wang Lei emerged at the same time as artists such as Dou Wei 窦唯, Zhang Chu 张楚 and He Yong 何勇, but made music different than these other artists in the way that his sound is sometimes more rough. He has an artistic quality that I would sometimes compare to a sort of Chinese Syd Barrett or Chinese Tom Waits, especially with what was recorded in the 90’s, as we will see later. After completely embracing electronic music, Wang Lei will go on to create one of the most important albums in Chinese electronic music “Xin” 馨 If you don’t know the artists I just mentioned, please research them, they are at the basis of modern Chinese rock. 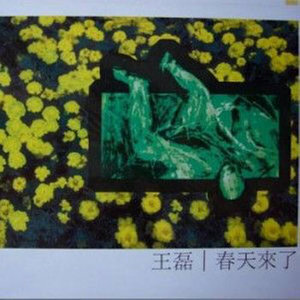 His first album, from 1994, “Chu Men Ren” 出门人 (Out of the door), is a rock album, sometimes taking inspiration from Pink Floyd, sometimes going into to pop, with a little bit of experimental music here and there. It has also moments of weird reggae and there even a bit of hip hop in there. 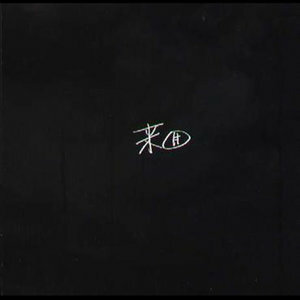 His second album “Ye” 夜 (meaning “Night”) starts with the song of the same name, a song that feels like a drunken melancholic lonely night in the heart of the Chinese 80’s. Though the song is characterized by its 80’s sound, one can’t escape the madness inhabiting Wang Lei’s voice and the experimental part of it that seems to be mandatory in these early albums and in his own personal style. This album is very folky in parts and retains clearly an influence from western rock of the time and a dimension that is purely personal to Wang Lei. 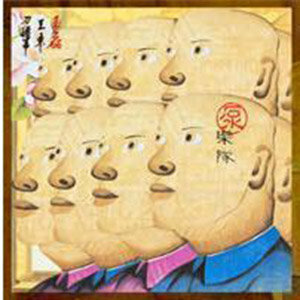 I would also recommend you to have a listen to songs such as “Zhu ren” 猪人 (Pig Man). 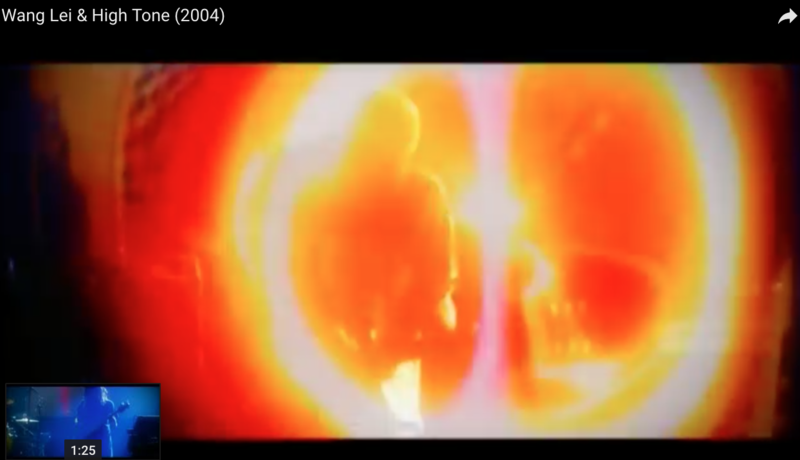 In the song “Lang Lai Le” 狼来了 (The wolf has arrived” I can clearly hear sounds that will later influence bands such as “Mu Tui Gua” 木推瓜 (Wood Pushing Melon) and “ZIYUE” 子曰 (Confucius Says). The next song is a dialogue between two rats in Guangzhou, I don’t know if you have been to Guangzhou, but the rats there are as big as cats, it’s pretty funny to hear such a weird conversation. The Next album “Lai Hui” 来回 (Back and Forth) is even more experimental and seems to be driving deliberately the listener a step forward into madness and audio hallucinations. 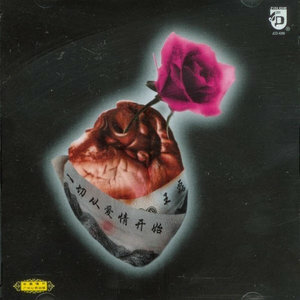 The song “Hui” 回, a 20 minute track, is probably one of the first electronic song produced by Wang Lei and clearly plunges the listener in a unique experience that seems to never last. 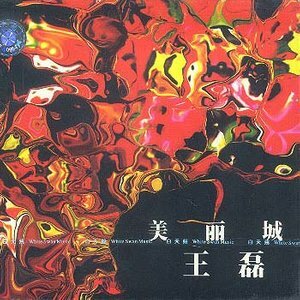 The Next Album “Chun Tian Lai Le” 春天来了 (Spring has arrived) published in 1998, made of drum beats and voices, is a bit more into the vibe of the time. While the first tracks are easier to understand for the common listener the album also has its experimental moments with tracks such as “Bu Xiao De” 不晓得 (I’m not familiar with this), “Wenhua” 文化 (culture) or “Mei You Le” 没有了 (there isn’t anymore of it). “Yi Qie Dou Cong Aiqing Kaishi” 一切都从爱情开始 (Everything starts from love) is a more acoustic album that keeps the experimental edge heard in former albums but takes the acoustic form to another dimension. The songs are often slow, and feel like a drone at times that digs into your brain to scratch your ears from the inside. It feels in all like a reflection on nostalgia, lost, and a bit of anger and regrets here and there. 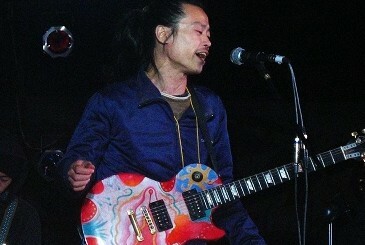 Wang Lei and Pump Band “王磊与泵乐队“. This album relies more on drum samples and is one more step towards into electronic music, with heavy drums and distorted voices, songs such as “Hey Dog” 哎狗 or “Live” 现场 announce partly the sound of the future albums of wang Lei. 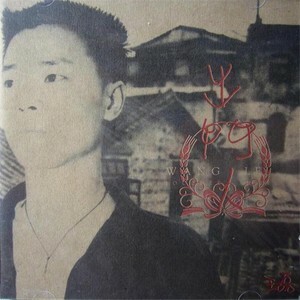 Composed after his first encounter with the electronic music scene in Paris, “Belleville”, also the name of the largest asian district in Paris, seems to be a departure from the other Wang Lei albums as it is the beginning of Wang Lei the electronic musician, and the beginning of an international career. A lot of the tracks of the album present sample of all kinds, including sample of voices of people talking, but also samples of Chinese instruments, cool beats, drums, and crazy sounds. “Xin” 馨 (Strong and pervasive fragrance). Maybe the best album has done so far, “Xin” mixes the experimental abilities of Wang Lei with the idea of the electronic sounds created on the album “Belleville”. It is a masterpiece and an underrated album in many ways. 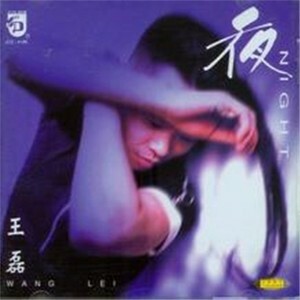 If you only listen to one of Wang Lei’s album, that’s the one. 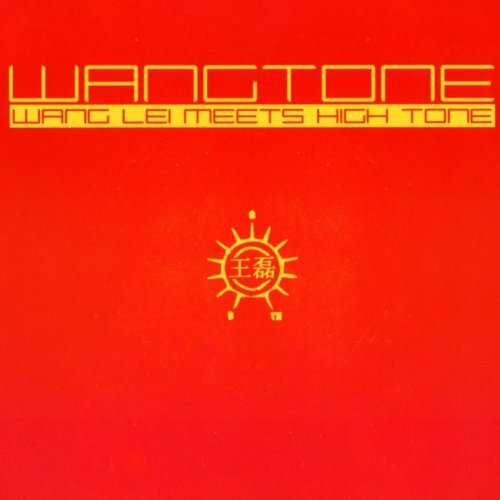 In 2005 Wang Lei and the band High Tone released “Wang Tone”, a collaborative albums mixing the High Tone vibe and the Wang Lei vision. A cool album, allowing a different kind of idea on music and maybe showing the way to something new and different in the field of music at the time. But also on Bil Bili (Chinese internet). 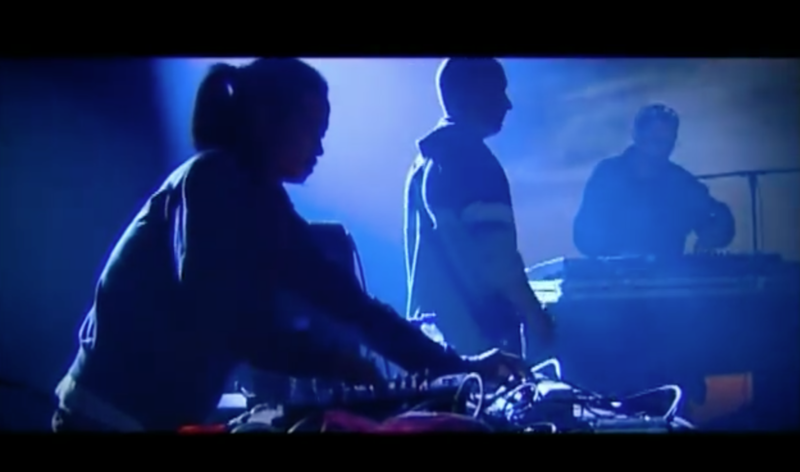 A pretty cool live set, that shows the evolution of Wang Lei from the 80’s to now. We hope to see very soon a new album of the artist who now lives in Dali. I hope you’ve enjoyed the article, please follow us ! The Beijing Underground Summer Music Days ! The Art Market !